As I witness the completion of newly renovated Renaissance Center offices, the unfurling of banners and months of intensive planning become reality, I realize that I’ve never been more proud of what we’ve accomplished during my five years here as chief executive. 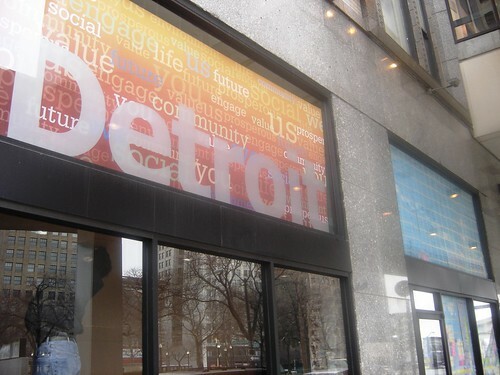 Blue Cross Blue Shield of Michigan has officially opened its Renaissance Center offices for business, extending our downtown Detroit campus from Lafayette Boulevard to Detroit’s riverfront. This week marks the beginning of a finale of a long and exciting journey for us here at BCBSM as we move the first of 3,000 employees from Southfield to Detroit. Coupled with the recent move of Accident Fund Holdings into its new Lansing headquarters, the journey feels especially symbolic, speaking both to Michigan’s past and its future. The author cuts the ribbon on BCBSM's move to the Renaissance Center Monday. Loepp was joined at the event by (from left): Greg Sudderth, chairman of the BCBSM board of directors; Wayne County Executive Robert Ficano; Detroit Mayor Dave Bing; and George Jackson, president and CEO of the Detroit Economic Growth Corp.
As a native Detroiter who spent many years in Lansing, I confess that the gratification over developments these past few months has a personal side as well. As I’ve written before, I strongly believe that Detroit is on the path to a new prosperity. Our plan to centralize operations in downtown Detroit is just the latest focus of a years-long process to consolidate our business enterprise in core cities across Michigan. The process, which includes renovating the vacant Steketees Building in downtown Grand Rapids as office space in 2004, reached a crescendo in March, when Accident Fund, our workers compensation subsidiary, unveiled its impressive 330,000 square-foot headquarters in a renovated, abandoned power plant along the Grand River in downtown Lansing. While different in nature, the Renaissance Center and the Ottawa Street Power Station both hold powerful symbolism for their respective cities. True to its name, the Renaissance Center was hailed as a way to revitalize Detroit, a “city within a city,” when it opened in 1977. Yet the complex was sometimes criticized as resembling a fortress, walled off from the greater city at large, and its occupancy dwindled over the years as the city continued its painful economic decline. General Motors, which has owned the RenCen since 1996, was considering pulling its corporate headquarters from the building just two short years ago, a move that would have been devastating to the city of Detroit. Flash ahead to today, when GM has redoubled its commitment to staying put. Our own consolidation of workers in Towers 500 and 600, once completed, will push the complex’s occupancy rate to around 93 percent. Today’s RenCen benefits from GM’s $500 million renovation in 2004 and the subsequent development of the picturesque Detroit RiverWalk, which opened up the once-neglected riverfront to public access and summer festivals. 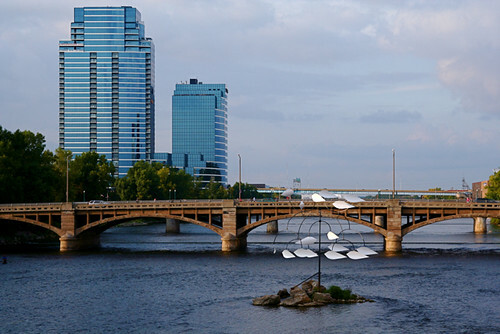 Opening up public access to the riverfront is also part of the equation at the Accident Fund’s gleaming new headquarters in downtown Lansing, a city that has also seen its share of hard times. I can remember when the Ottawa Street Power Station was decommissioned in the early ‘90s and how the Art Deco building cut an impressive, if dispiriting, silhouette on the city’s skyline. The massive building in those years seemed like a symbol of a disappearing industrial era. Its gradual abandonment dovetailed with the steady de-industrialization of Lansing itself, as the iconic Oldsmobile brand that defined the city dissolved. Today, the power plant is giving rise to a new knowledge-economy era in Michigan’s capital city, having undergone an ambitious renovation. And yes, people can now walk along the riverfront behind it. Certainly neither Blue Cross nor Accident Fund can take all the credit for these projects or all the subsequent development that we believe they will set in motion. But they speak to the power of conviction and making strategic investment in places. There are examples all around. GM’s investment in 2004 helped physically re-orient the RenCen to the city, introduced a new retail component to the complex and helped set the stage for the RiverWalk. 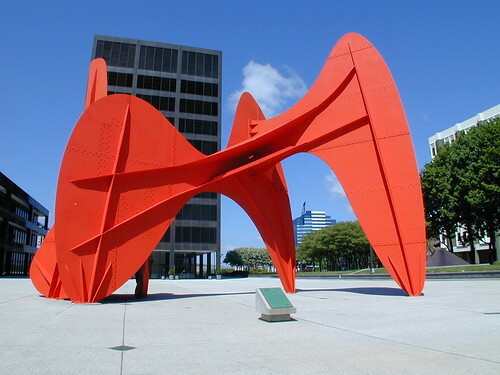 Compuware gave the former J.L. Hudson’s department store site its first tenant and brought thousands of workers downtown, which eventually begat Campus Martius, recognized as one of the nation’s finest urban green spaces. One wonders what’s in store as Quicken Loans prepares plans to move employees into the Chase Tower just across from the park. You hear a lot of talk nowadays about economic stimulus, and there’s little doubt that Michigan could use a hefty dose of it right about now. We think that stimulus should focus on rebuilding our great cities, and we welcome our friends and business partners to join us. It promises to be an exciting ride. Photo by the Detroit Regional News Hub.